I’ve just come out of Microsoft Keynote session with Lori Wright and her team of product managers where we got to see what’s coming on Microsoft Teams this year. I thought I’d share with you some quick bullet points of the highlights. 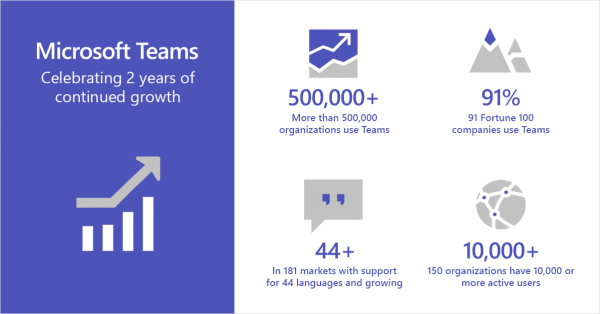 The first announcement was that 500,000 customers are now using Microsoft Teams. That’s a pretty impressive number by any standards for an application that’s still so new. And there are a number of really exciting new features on the way. 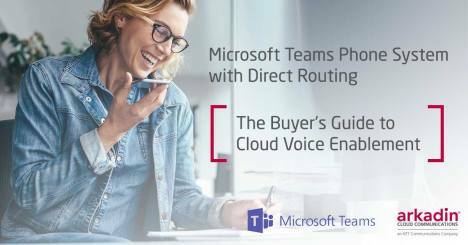 Private Channels in Microsoft Teams is due this year. 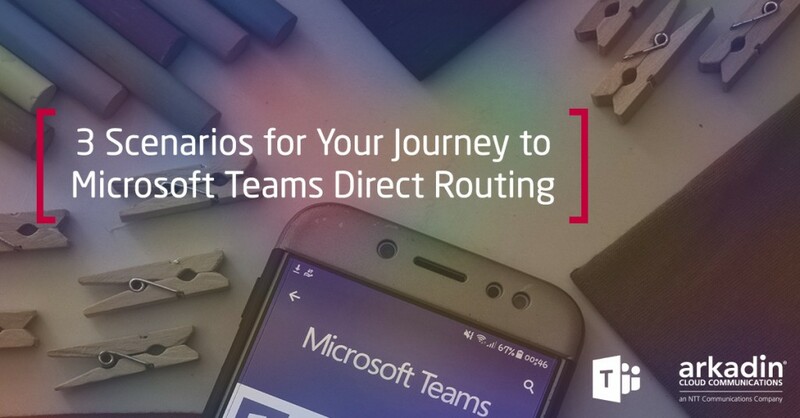 It’s been at the top of the user community wish list since Microsoft Teams was launched and we got to see a preview of the feature today. Can’t wait! 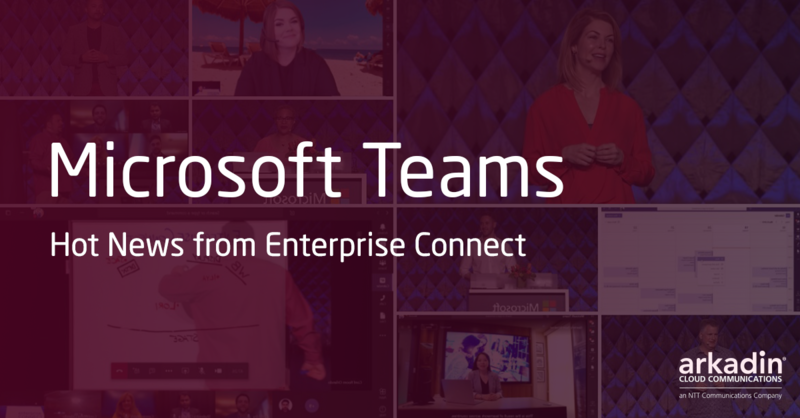 It was announced that Microsoft Teams Live Events is now generally available. We got to see a brief demo that included the live translation feature, where someone delivering a broadcast meeting in Mandarin gets translated into English subtitles on the fly. If this feature is as great as it looks then it’s a massive step towards more inclusivity in the workplace. Also on the inclusivity we saw some very cool accessibility features for personalizing text size and showing icons to represent words. A fantastic feature aimed at the 1 in 5 of us that are dyslexic. Another meetings feature we saw was Live Captions. If you’re in a video meeting with someone, you can turn on a feature where their audio is turned into text captions on the fly. So, if you’re having trouble hearing what’s being said you can still follow a conversation by reading the subtitles. We saw a very interesting demo of the 1st line workers mobile features that are coming. A range of configurable features from shift planning, clocking in and out, the ability to see the location of your workers and the ability for workers to quickly share their location on the fly. My personal favorite feature got one of the biggest cheers – it arguably has no business value at all but is just so cool. Last year, we all loved the background blur feature. 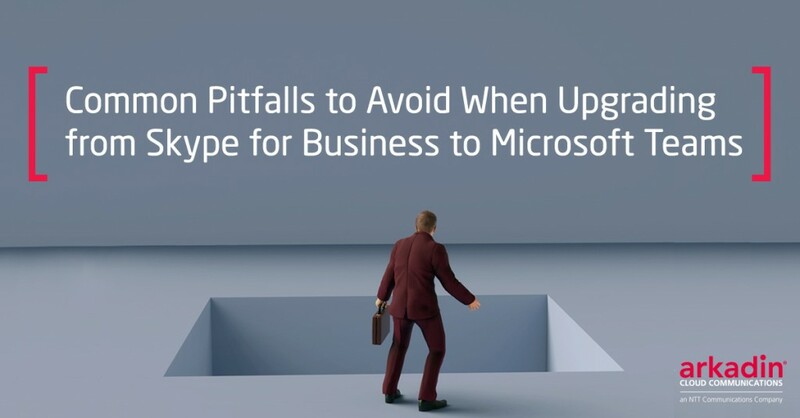 This year Microsoft have gone one better and you’ll be able to set your own custom background image when you’re in a video meeting. So, no matter where you are on your video call, you can set your background to look like you are at your desk, or on the beach or even on the moon. Personally, I can’t wait for this. Another feature that users have been asking for is a gallery in video meetings so that you can see more video feeds. The new gallery will have up to 9 video feeds at the same time on your screen. The last demo of the session almost brought the house down. It was all about meeting rooms and some really awesome new capabilities. Firstly, the proximity feature whereby your Microsoft Teams Room System recognizes that you have come into the room and prompts you to start a meeting room. Another feature of meeting rooms is the new Digital Whiteboard – a feature we were used to seeing in Skype for Business is now coming to Microsoft Teams but with extra features. You’ll be able to paste a diagram into the whiteboard and have it convert into digital ink so that your colleagues in your web meeting can co edit the image. Not only that but the whiteboard image updated on the fly while the person kept drawing and instead of having the image blocked by the person standing in front of the whiteboard, he simply became transparent – we could look through him and see what he was drawing. It’s a feature that’s hard to describe but amazing to see in action. So, there’s my rough and ready summary of what we got to see. 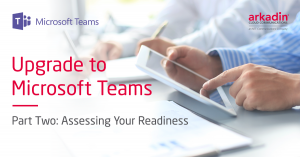 Looks like an exciting year ahead from Microsoft Teams!